On May 17th police in Copenhagen raided 10 separate addresses, including the autonomous social centre Bumzen, arresting 25 people in all. On Sunday 29 January 2017, anarchists in the northern Thai city of Chiang Mai visited the home of the newly appointed Australian Honorary Consul, Ronald Elliott, to share with him our analysis of Australia’s immigration policies regarding refugees, and to communicate our opinion of Australia’s highly offensive annual nationalist celebration of occupation, displacement and genocide. We recognise Mr Elliott, who was appointed Australian Honorary Consul in northern Thailand on 17 January, 2017, as representing the vile policies of the colonised land known as ‘Australia’. 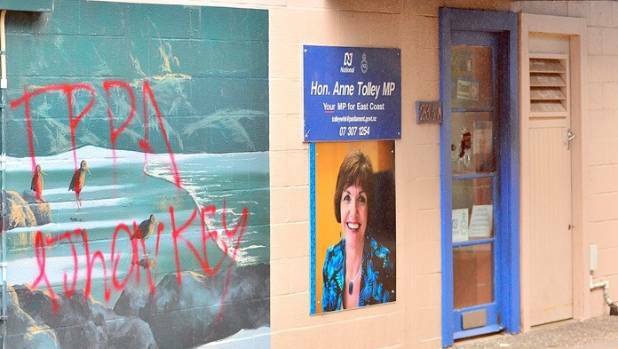 Hence, in welcoming his new appointment as the ambassador of a government which makes no apologies for its racist immigration policies and unashamed barbaric treatment of refugees, we decorated the wall protecting his expensive upper-middle class property with a demand to “Free the Refugees”. Similarly, in solidarity with the 7 Days of Resistance to Invasion Day, called by Warriors of the Aboriginal Resistance (WAR), we also added the demand to “Decolonise “Australia” to Mr Elliot’s property. We trust that Mr Elliott will report our message to his superiors in the Australian Embassy proper in Bangkok, who will in turn submit a mandatory report regarding the incident to the Department of Foreign Affairs and Trade (DFAT) and their cronies in the ‘Australian’ government. In undertaking our visit to Mr Elliott’s residence in the over-policed and exclusive gated community, Mod Chic, in Moo Ban Sansaran, the strategy we used to negotiate entry reaffirmed that no matter how many walls and borders the rich, and by extension the State, create to keep out “undesirables”, those with motivation to gain access to spaces will always find a way- a lesson the ‘Australian’ government would do well to consider when implementing its immigration policies and squandering billions of dollars on “defending the borders”. 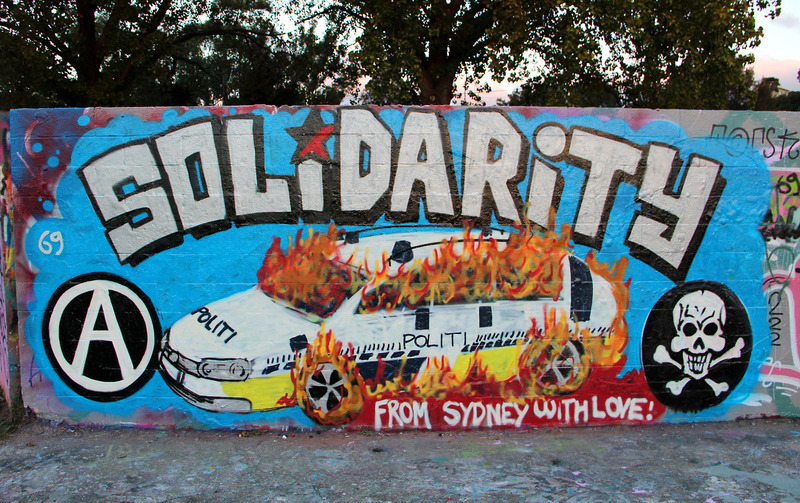 10 Nov – In response to a call for a week of actions against the North Wales mega prison, some anarchists in Sydney made some small actions. 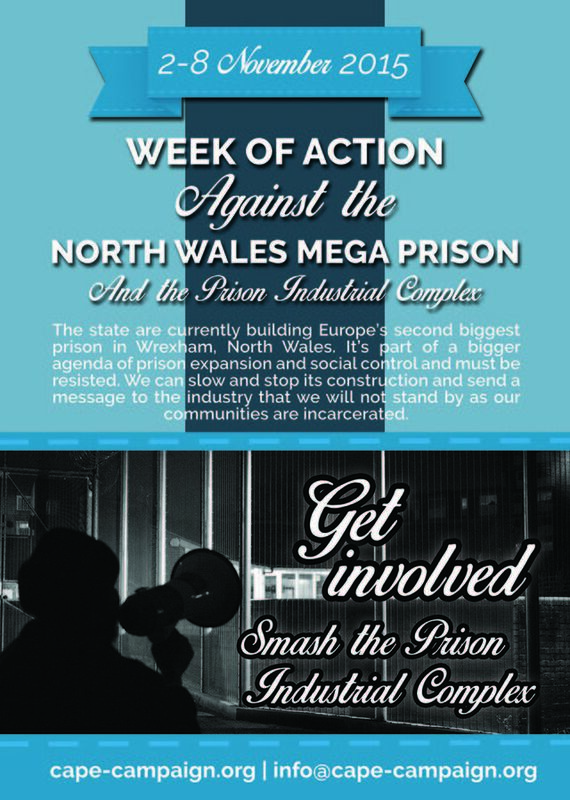 The primary contractor involved in the Wrexham Prison Project is Lendlease, an Australian based construction company. In Sydney Lendlease is currently involved in a huge casino project called Barangaroo. The project has major state government backing and is responsible for the social cleansing of Millers Point, the last working working class district in inner Sydney. Over the past two years there has been consistent resistance to the project and to the eviction and sell-off of the remaining social housing in the area. 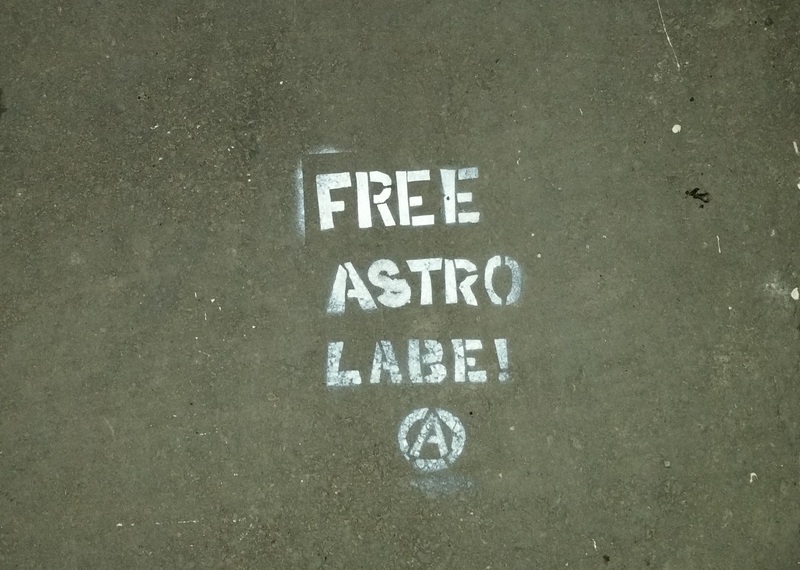 Numerous buildings in the area have been squatted, and the struggle continues. 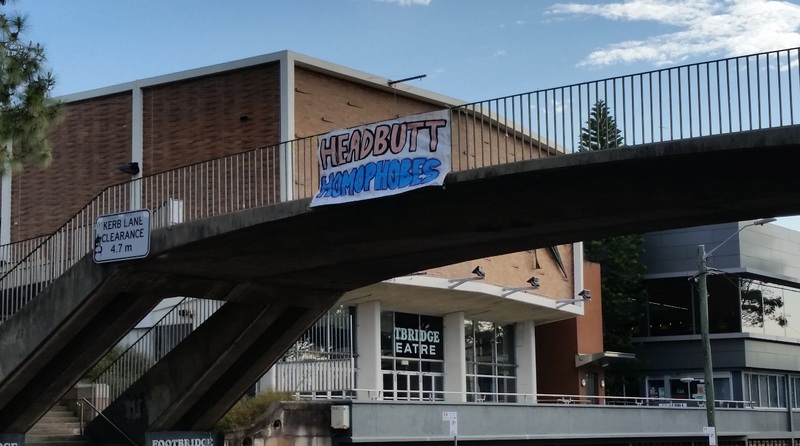 Over the first week of November dozens of slogans against Lendlease and its projects were painted on walls across Sydney. 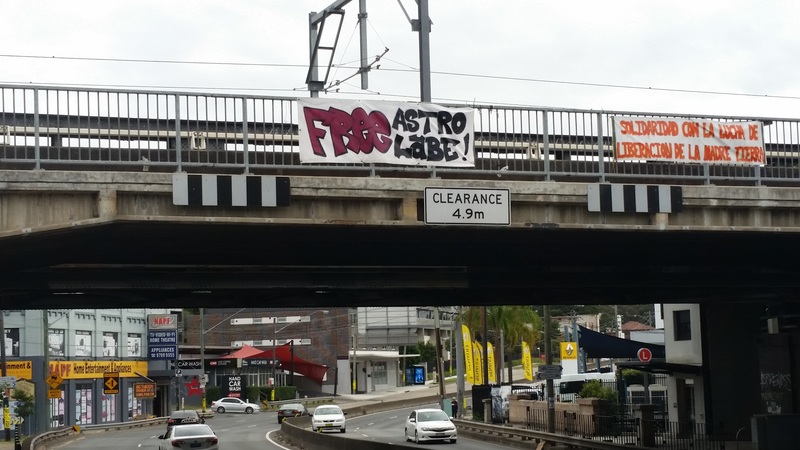 Lendlease banners were torn down from their construction sites, repainted and hung from highway bridges. 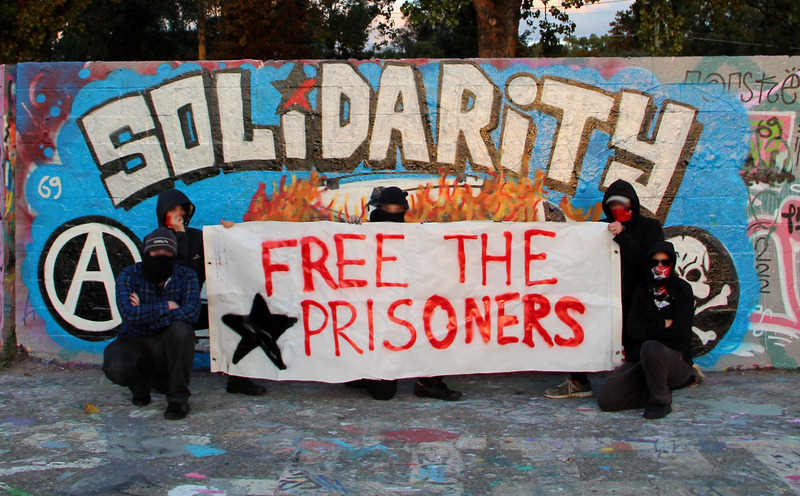 We wish solidarity to our comrades in Wales and all those fighting for a world without prison.